Will a British Exit From the EU Cause Gold to Glitter? Home » Will a British Exit From the European Union Cause Gold to Glitter? If Great Britain leaves the European Union, one big bank is saying that gold could rally. What’s its reasoning? Find out here. This week, Your News to Know rounds up the most important news about the gold market and the overall economy. Stories include: HSBC says gold could explode if Brits vote for Brexit, gold has everything in its favor, and building owner can charge rent based on gold prices. Gold has had a great year so far, rallying 18% to reach its best quarter in nearly three decades and becoming a top performing commodity. Yet uncertainty ahead could cause the yellow metal to increase in price even further, as reported by Business Insider’s Will Martin. 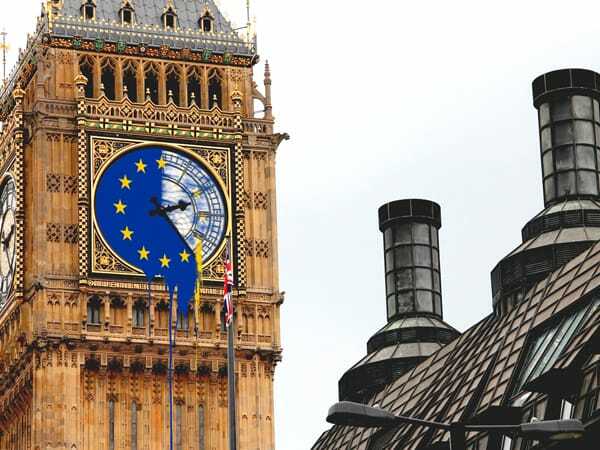 The uncertainty in question comes in the form of the upcoming ‘Brexit’ vote – a vote in which the British population will decide whether the country should remain a part of the European Union or not. To illustrate their point, HSBC analysts presented a chart that shows gold and the Swiss franc spiking ahead of the UK’s general election in 2015 when many believed that a new party would win the election, which would bring about political risks. In the midst of gold’s recent rally, many are now wondering, What next? Can gold go any higher, or are the good times over? The reasons for their beliefs are convincing. For starters, there’s the so-called war on cash that’s being talked about: With negative interest rates on savings in many places of the world and calls by central bankers and economists to eliminate high-denomination bills, it’s clear that a move to digital cash is being forced. “There’s a war on cash and a war on savings, and people are starting to see that,” says Hathaway. “All of this drives people to think: ‘What else is there? Where else can I keep my money safe? '” Gold is one option, and Frank Holmes points out that, at the time of gold’s 2011 peak, the 10-year U.S. Treasury note paid a negative 3% yield. Aside from making the metal more attractive, negative rates also remove the criticism that it yields nothing, which “puts gold back on the radar” according to portfolio manager Trey Reik. Reik also explains how gold often acts inversely to confidence in central banks, and this confidence is reaching all-time lows. Recent moves by central banks, such as the infamous plunge into negative interest rates, seem desperate, and the Fed’s backtracking on hike expectations and its haphazard drifting between policies stand among the more glaring examples of this. The possibility of bankers not being able to unwind their debt also increases gold’s appeal as insurance: With low and negative interest rates crippling bonds, gold rises as perhaps the only high-quality asset that’s uncorrelated to equities. But even if the Fed’s meddling doesn’t harm the dollar, there are other threats to the greenback: Wells Capital Management economist James Paulsen believes that better growth in Europe and emerging markets will draw investors to those areas and drive their currencies higher as a result. The last argument for gold going further up is perhaps the simplest one: A supply shortage. John Hathaway believes that the gold float has declined 67% since 2011 thanks to buying by Asian investors and a decline in mining output; China and its massive purchases are the most culpable party here, helping support the metal’s price both directly and indirectly. In such a gold-drained environment, any new net demand drives the price up higher than it otherwise would. So how does one gain exposure to gold? While there are multiple ways to immerse yourself in the metal, Hathaway considers purchasing bullion and storing it safely to be the best option as it lets investors avoid counter-party risks. In accordance with this, 14% of Hathaway’s portfolio consists of physical gold. Gold clauses used to be a common addition to property leases. Decades ago, rent was often linked to the price of gold in order to account for inflation. These clauses were prohibited in 1933 to help reform the economy amid the Depression and were reintroduced in 1977. However, they aren’t as commonly-found today. But now, Washington’s Top News reports that a federal judge ruled in favor of a Columbus, Ohio downtown Commerce Building being rented according to its 1919 lease which includes the currently-legal gold clause – the clause dictates that rent should be paid based on current gold prices. Since renting it in 1990, Commonwealth Investments only had to pay a yearly rent of $6,000 to the five property owners while getting $900,000 per year from the building’s 40 tenants. If Judge George Smith’s ruling is unsuccessfully appealed, the company will have to pay $348,000 of yearly rent from 2014 to 2018, when a new lease will take effect. This isn’t the first time that the courts have ruled in favor of a gold clause. In 1999, a Carmel, Indiana insurance company had to pay a developer’s heirs around 8,000 ounces of gold in back rent, and in 2008, upholding a similar gold clause from 1912 caused the rent of a downtown Cleveland building to go from $35,000 to about $1.5 million. Russia is now the world’s biggest buyer of gold. Read why here.